Can you explain your quantum research to a teenager? This round of Quantum Leaps is completed. Read the articles and a summary of the first reviews! Quantum is launching a pilot outreach project, Quantum Leaps, where scientists write a rigorous and accessible popular science version of a research paper, which are then reviewed by school students, under the supervision of a researcher. Provide a venue for researchers to showcase effective science communication in quantum sciences. After peer review, the best articles will be published in Quantum Views, and the reviewers will be invited to give a talk about the experience. This project is inspired by Frontiers for Young Minds, which implements the same idea in fields such as biology, psychology and space science. Quantum Leaps is coordinated by Chris Ferrie and Lídia del Rio. To participate in this project, send us your popular science article and be ready to undergo the scrutiny of intelligent and motivated young students. We are looking for rigorous and accessible articles about a specific research direction, problem or result (rather than say, a review of quantum computing). It may be about your own research or someone else’s. Deadline: 12th of February 2018, AoE. To submit, use the form at the bottom. Format: Free, but not too long (more than 2-3 pages may be too much). Figures are welcome and probably extremely useful. Background of the readers: The reviewers are 13-14-year old students in grade 8 at Cherrybrook Technology High School, in Sydney, Australia. They have no knowledge of linear algebra. However, the students are familiar with reading scientific articles for their age group (for example ChemMatters). They will be supervised while reviewing the paper (see description below). The reviews will be carried out as part of their education on scientific peer review. Matt Leifer’s article on the PBR result. Dave Bacon’s article on contextuality. Anything from Frontiers for Young Minds. Conditions: All authors must agree for the piece to undergo review. It should not be published anywhere else where there could be a copyrights conflict (for example: your blog should be ok, a science magazine probably not). The final articles will be published in Quantum Views under a CCBY 4.0 licence. Questions? Email Chris and Lídia at “leaps [at] quantum-journal.org “. The quantum information community is in desperate need of examples of how to effectively communicate the science. This is crucial now more than ever as the visibility and technological prospects are currently growing at an enormously rapid pace. On the one hand, we have science journalists, who know how to hype the research as to interest the general public, but often distort the science to the point of making clearly wrong statements, even when they have direct access to the researchers, and keep rehashing the same misleading ideas (like quantum computation “testing all answers at once”, and romantic interpretations of the quantum measurement problem). On the other hand, scientists tend to fall short of explaining their results in a motivating way, in connection to relevant examples, current technology and the knowledge base of the audience. Finally, school education in most countries misses out on essential parts of science, such as the peer review of articles. These issues feed back into a lack of basic understanding of science and its process, from a young age. This project addresses the above-mentioned concerns at once, by introducing school students to a real peer-review experience of accessible versions of scientific articles, written for a general audience by scientists. We will do this in collaboration with schools, a scientific journal, and quantum information researchers working in universities and other academic institutions. Quantum is an open-access peer-reviewed journal for quantum science and related fields. 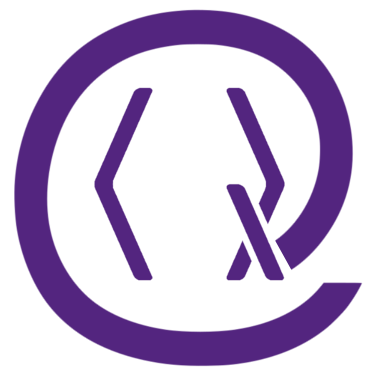 Quantum is nonprofit and community-run, an effort by researchers and for researchers to make science more open and publishing more transparent and efficient. We propose a model where authors of academic articles published in Quantum are invited to re-write their paper for lay and young audiences. A separate editor will oversee peer review with members of that audience, who will be assisted by volunteer researchers in performing the duties of an academic referee. In the long run, we would like this project to be implemented in schools around the world on a regular basis. This proposal is modelled after a successful project called Frontiers for Young Minds, which has thus far focussed on life sciences. In order to test the feasibility of the long-term proposal and gather interest for the programme, we will run a competition for researchers to rewrite a published paper for a general audience. As a one-off project, students at the Cherrybrook Technology High School, in Sydney, will referee the competition submissions simulating the process of peer review. In doing so, they will learn about the process of peer review and quantum information science. This pilot project will run in Spring 2018. We will use the experience gained in this project to build a reproducible model to be implemented in schools worldwide. Submissions will be received until the 12th of February 2018. The students will referee the papers in February/March and final decisions by editors will be made in April. We propose a project based approach with three sessions which span two weeks. The sessions last two to three hours each and are organized as follows. Papers are distributed among groups of 3-4 students. The reports will then be sent back to the authors. The authors will provide feedback/thanks to the students for the final session. Students present the paper to other groups. Authors are the researchers who write the paper and revise it in accordance with the feedback provided by the students. They will provide the students with feedback about the reports. Students serve as the referees (peer reviewers). The students are responsible for understanding the process of peer review and apply it to an example paper written by an author. At the end of the process, students present the paper and their assessment to their peers. Facilitators are local quantum information researchers who lead the sessions, teach the process of peer review and manage the project. They provide assistance and guidance where necessary, and work in collaboration with the school teachers. They also coordinate the process of returning the reports to the authors and collecting their feedback. Editors are quantum information scientists who pre-select papers to forward to the students. At the end of the peer review process, editors select the papers that will be published in Quantum and make final decisions about prizes. Editors need not be physically located near the school. After peer review, the top papers will be selected by the editors and published in Quantum Views. We would like to invite the students to nominate a group member to speak about the paper they reviewed and their experience at a seminar organized at the UTS Centre for Quantum Software and Information. This talk may be included in the program of an international conference hosted there in July 2018. The deadline for this round of Quantum Leaps has passed. The first reviews are in, read them here!